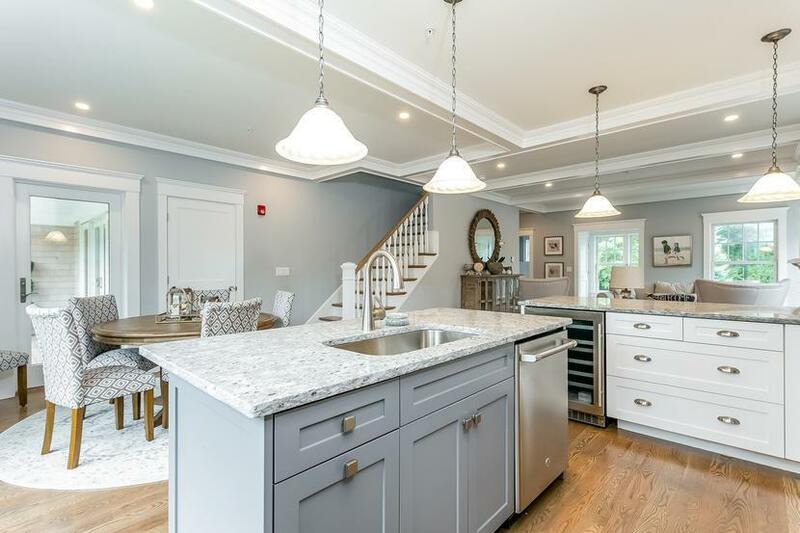 780 Craigville Beach Road F2, Centerville, MA 02632 (MLS #21901382) :: Rand Atlantic, Inc. The residences at Tradewinds. This newly built luxury townhouse condo in a prime beach location offers carefree living at its finest. The complex is sited on 5.28 acres fronting Lake Elizabeth with wood dock perfect for launching your kayak and exploring the lake and water gardens that surround the complex. 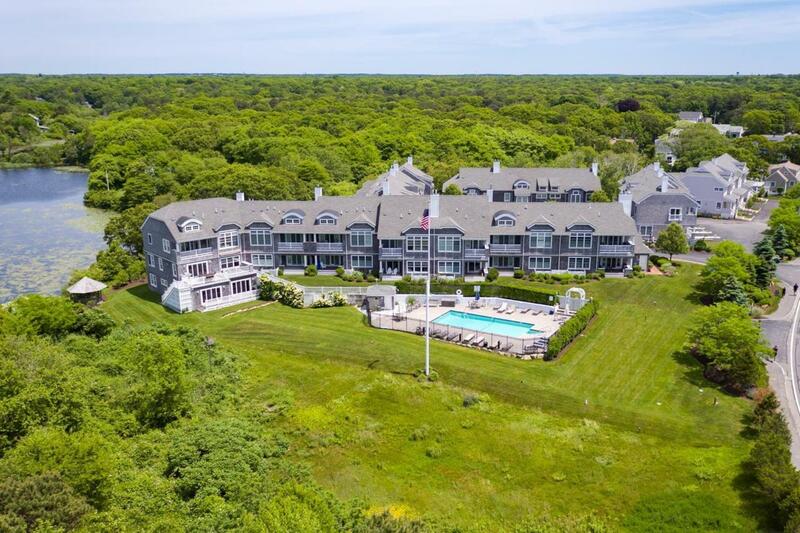 Tradewinds also offers a heated gunite pool & private sandy beach on Nantucket Sound. 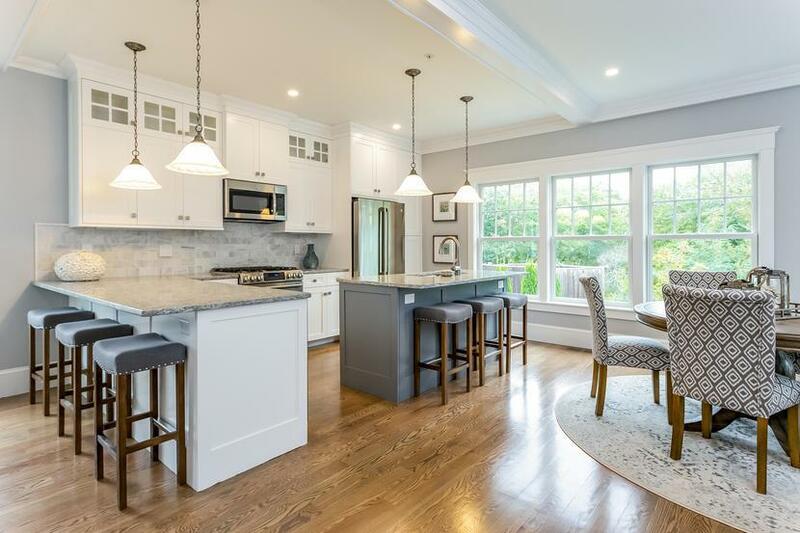 Designed for today's lifestyle, the light filled interior features open concept living room, dining area & kitchen with 9 ft. coffered ceilings and gleaming wood floors. A fireplace surrounded by custom mantel with built in cabinets will romantically warm you on those cool nightsThe custom made all maple painted kitchen features glass doors and granite countertops, gas range, and all stainless-steel appliances including wine cooler. First floor and second floor master bedroom suites each have gigantic closets, a spa bath tub & glass enclosed tile shower with laundry facilities. 2nd floor level also boasts a huge bonus room perfect for home theater or guest sleeping. The bonus room also has a full bathroom. The basement walkout level is perfect for game tables and has an overhead garage door for easy storage of boats and beach items. Information here is not guaranteed or warranted and should be verified by any person who is looking at this property to purchase. Listing provided courtesy of Pat Mcmanus of Heritage Realty & Develop, Inc.